Some of you might have noticed the frequency of posts on this blog has dropped dramatically. Do not fear, there is a new, independent blog under development where content from here as well as new content will skip over to. I hope to have the new blog up and running by the end of this month. 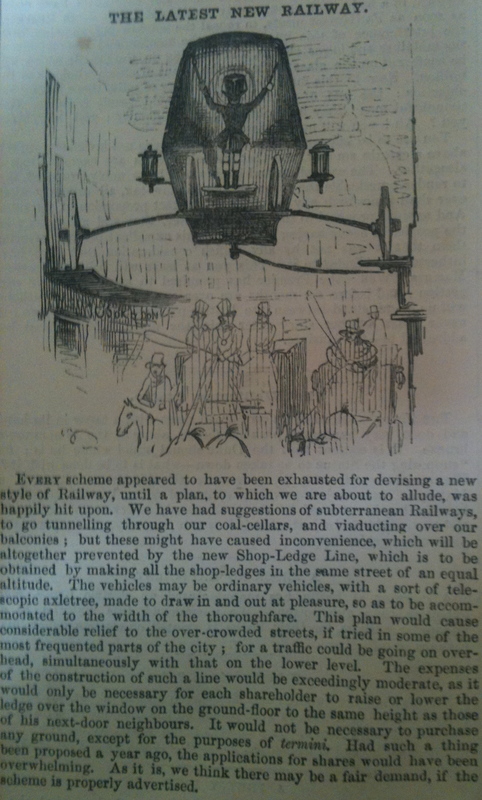 In the meantime @hurrymurray, when talking about High Speed 2 going under peoples homes, reminded me of this clipping from my 1800s edition of Punch.